After thirteen long years of one revelation after another, it has now been established that the 9/11 terrorist attacks on New York City and Washington DC were perpetrated by the very same governments that had the most to gain from them. The US Federal Government, along with the UK and Israel, have each been directly implicated in the most purposeful and calculated, complex and premeditated false flag operation of this millennium. Saudi Arabian financiers and the Pakistani ISI (Directorate for Inter-Services Intelligence) also played vital roles in this crime against humanity. With the internet functioning at full tilt in every corner of the globe, how much sheer audacity did it take for the rogue CIA-MI6-MOSSAD co-conspirators to pull down Building #7 in broad daylight? How complicit was, and is, every major organ of the mainstream media (MSM) that knowingly and willingly participated in the subsequent and extremely well-coordinated coverup which continues to this very day? When an inside job is so ridiculously obvious, how long do they really think they can maintain the collapsing coverup? For anyone who doubts this ‘historical revision’, please take just a few minutes and watch the following video. Even those fully initiated in 9/11 truth will appreciate this dramatic YouTube rendition of the 9-11 backstory. Quite unfortunately for the real 9/11 co-conspirators, we now live in a time of very quick blowback. The karmic slack of yesteryear has been tightened considerably, and only continues to be shortened with each passing day. As a matter of fact, their many desperate attempts to trigger a full blown World War III in the Ukraine provide further testimony that they know their time is up. The ongoing dissolution of the Global Economic & Financial Control Matrix is another example of just how extreme their actions have become. Whenever the going gets really rough for those who do rule the realm, war has always been their way out. Looking at the state of affairs across the planet, it’s quite easy to see how many plots are afoot to trigger a global conflict of apocalyptic proportions. Yes, these guys (and gals) are truly desperate as the 9/11 terrorist attacks so dramatically portrayed … and that was 13 years ago! The good news, for those who are concerned for the welfare and continuity of the Republic, is that 9/11 will also prove to be their (TPTB) undoing, once and for all. Those who concocted the plan did so with such little attention to some of the most important details that they unwittingly sealed their own fate. In other words the whole misbegotten 9/11 scheme was implemented unknown that it contained the seeds of destruction for everyone involved. The previously quoted “boomerang effect” is just beginning to play out — in living color — all over Planet Earth. Since there are countless lessons — some highly prophetic — which can be gleaned from the 9/11 tragedy, it is well beyond the scope of this article to delve into them. Nevertheless, it does provide great comfort in knowing that the events of that fateful day will prove to be the catalyst for an unparalleled transformation of the planetary power structure. Believe it or not, many of the ongoing global rearrangements and historic geopolitical paroxysms taking place today reflect this emerging reality. Every continent is now undergoing profound and fundamental political, economic and social changes because of the various “messages” delivered to the community of nations by 9/11. North America and Europe, South America and Central America, Asia and Australia, and especially Africa and the entire Middle East are experiencing unprecedented earth-shattering events on a regular basis. It’s important to understand that the hidden knowledge of what actually occurred on September 11, 2001 has empowered many of those governments to throw off the yoke of Anglo-American tyranny, once and for all. Should the reader want to participate in this instant “global messaging campaign”, we recommend the following. Do as the CIA does. Set up your own highly compartmentalized, asymmetric, internet-based operation on a strictly need-to-know basis in your own home. There, you can conduct your own Facebook and/or Twitter revolution against those responsible for planning, coordinating, executing and covering up the 9/11 terror events with the push of a few keys. You’ll be joined by millions of other keyboard revolutionaries from around the globe who have been doing the same for many years. You can start by disseminating some of the many compelling articles and essays, indisputable videos and audios which lay bare the realities surrounding the 9/11 state-sponsored terrorism inflicted upon the US citizenry BY ITS OWN GOVERNMENT. Many a weekend warrior has now taken up this cause as we all wait for a critical mass of true patriots required to ensure that justice is served. Everyone agrees that the treasonous elements which have taken over government at all levels must be exposed, and dealt with accordingly. Here’s a Citizens’ Indictment which illustrates the true depth and breadth of the actual 9/11 criminal conspiracy. 1) Based on too numerous to list eyewitness accounts, audiotape accounts, video accounts, as well as expert testimony concerning the events that occurred in both New York City and Washington, DC on September 11, 2001, it has become painfully obvious that numerous elements within several organs of the US Government (to include the executive, legislative and judicial branches), and coming from, at the very least, the intelligence agencies/secret service, federal, state & local law enforcement agencies and military services, are directly responsible for planning, coordinating, executing and covering up the attacks on and selective destruction of the WTC complex, the Pentagon and Flight #93 in collaboration with foreign governments and other entities. 2) Given the staggering proportions of this conspiracy, and especially the vast amount of evidence that was available to the naked eye and attentive ear throughout the execution of these innumerable flagrant criminal acts, it has become quite apparent that many international and national news media organizations colluded with the highest levels of this treacherous cabal. Likewise, the extensive commentary dispensed by the many think tanks, PACs, political parties, academic institutions, research organizations, various foundations, etc. in the aftermath of the 9/11 orchestrated events has clearly revealed their varying degrees of culpability which can only be accurately assessed as the guilty step forward or whistleblowers file their reports. Furthermore, it has become transparent from the extraordinary sophistication, technical requirements and timing intricacies of these crimes, that there are those titans among Corporate America who were, by necessity, involved directly, as well as those involved on a peripheral basis. 3) The explicit intentions and deliberate actions referred to herein constitute the basis for the most serious crimes of high treason, premeditated murder and calculated acts of terrorism committed against US and foreign citizens working on US soil on September 11, 2001. It has been recognized that these heinous crimes were surreptitiously carried out in a highly compartmentalized operation, as well as on a strictly need-to-know basis, in which many of the perpetrators were completely unaware of their handlers, accomplices, financiers, logistical supporters, top decision-makers, etc. 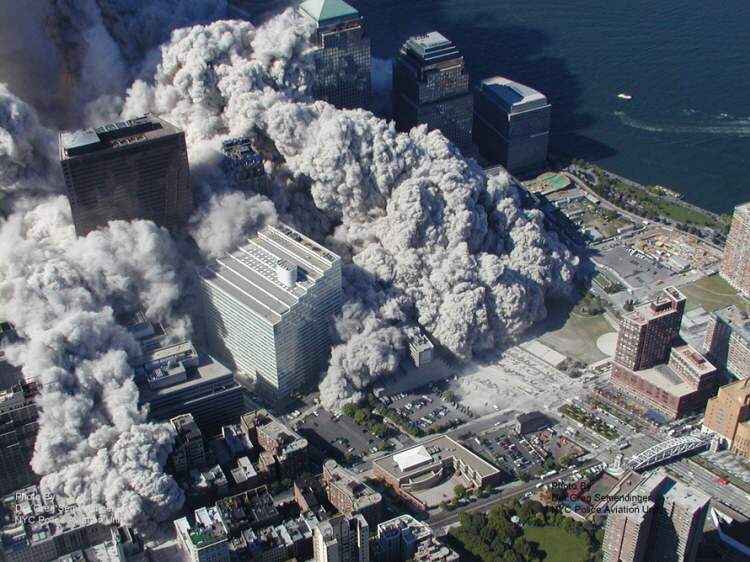 In light of such a complex and convoluted scheme, conceived to give justification to an eventually declared “War On Terror”, it will be necessary to rely heavily on the volumes of circumstantial evidence which will certainly convict all involved, from the US President and Vice President down to those anonymous murderers who placed the many explosives in the WTC 1, 2 & 7 for their controlled demolition. Staged 9/11 terrorist attacks will ultimately bring down state sponsors; justice will not be denied those who perished. Were this Crime Of the Millennium to be recognized as the war crime that it truly is, an international war crimes tribunal (ICC) would be convened at The Hague. In this way the guilty parties could be held to account and hung high as an example of how state-sponsored terrorism will no longer be tolerated. When perpetrated against its own citizenry in order to conduct a fake worldwide War on Terror makes this overwhelmingly heinous, multi-year crime spree that much more deplorable and shocking. And, therefore, in dire need of being terminated post haste. Therefore, everyone ought to do their part acquiring and distributing the reams of documentation and numerous videos which furnish the unassailable “circumstantial evidence” against the primary governments directly involved in the 9/11 terror events — the U.S., the U.K. and Israel. When the 9/11 samurai boomerang returns to those who launched it into flight, New York City and Washington D.C., London and Tel Aviv must be very wary, for divine retribution never misses its mark. As much as 9/11 has been used to initiate and maintain a literal TRIBULATION throughout the entire world, it can also be utilized to bring an end to the current tyranny. It is in fact a double-edged boomerang which is now heading toward those who first launched it into flight on that tragic September 11th in 2001. As more information is uploaded on the internet which reveals both players and plot, the actual 9/11 conspiracy will soon become common knowledge. After a certain point of internet saturation with factual 9/11 information, the critical details will inevitably bleed through to the MSM. At that point “the veil of illusion will tear” and the rest will soon be history. When in the course of national events, the “failures, violations of and breaches by government” becomes so egregious and destructive to both people and property, it becomes necessary to respond in a decisive and appropriate way. That time has now arrived. The American people have seen enough to know that if these psychopaths are not stopped soon, there’s no telling how much more death and destruction they will wreak across the planet. Those who sit at the peak of global governance must be brought to justice, if there is to be any peace and reconciliation, understanding and closure concerning 9/11 and its much more terrible aftermath. Now is the time for the people of the world, nations and citizens alike, to hold accountable those who inaugurated the War on Terror based on the false pretext of the staged 9/11 attacks. Those who died in the conflagrations in both NYC and Washington D.C. must not die in vain. The very best way to honor their sacrifices is to vigorously pursue 9/11 truth and identify the co-conspirators at every level of execution and/or involvement. Anything short of this noble and necessary endeavor will be viewed by future generations as negligence of the highest order. After all, 9/11 has presented an unparalleled opportunity for America to clean house in a way that’s never been done before. For those who are unaware, the 2nd American Revolution has begun! And, it was the 9/11 false flag attacks which started it.